January 6th is the 6th day of the year in the Gregorian calendar. There are 359 days remaining until the end of the year (360 days in leap years). On this page, we have placed information about January 6th, including famous people born on, historical events that occurred on, holidays and observances that fall on, and astrological connections of, this day. 1066 Harold Godwinson crowned King of England. 1838 Samuel Morse performs first successful test of the electric telegraph. 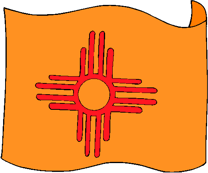 1912 New Mexico admitted as 47th US state. 1912 Alfred Wegener first presents his theory of continental drift. 1931 Thomas Alva Edison submits his last patent application.